A magnificent 24 day voyage of discovery through the mountains, plains and delta landscapes of South Africa, Namibia, Botswana and Zimbabwe, staying in comfortable lodges, guest houses or large en suite tents along the way. On arrival in Cape Town, you will be transferred to your hotel. You have the remainder of the day at leisure. This evening you will meet your guide and the rest of the group for your pre-departure meeting. This morning take a city tour of the ‘Mother City’ which will include the cable car up to the top of Table Mountain for spectacular views as well as visits to Company Gardens, Greenmarket Square and colourful Bo-Kaap. Later enjoy wine tasting at a vineyard in Constantia. Today travel along the Atlantic Seaboard via Sea Point, Clifton and Camps Bay. Continue on to Hout Bay, where there is an optional boat trip to Seal Island, and then onwards to Cape Point via Chapman’s Peak, one of the world’s most breath-taking coastal drives. In the afternoon travel to Simon’s Town, home to a large penguin colony at beautiful Boulders Beach. An early start takes us to the beach on the Atlantic Ocean to have a last look at Table Mountain across the bay. After lunch, we head towards the Cedarberg Mountains, where we overnight in Clanwilliam, one of the ten oldest towns in the country. On arrival, you can enjoy a local favourite of Rooibos tasting, an indigenous plant to the Western Cape and has major health benefits. 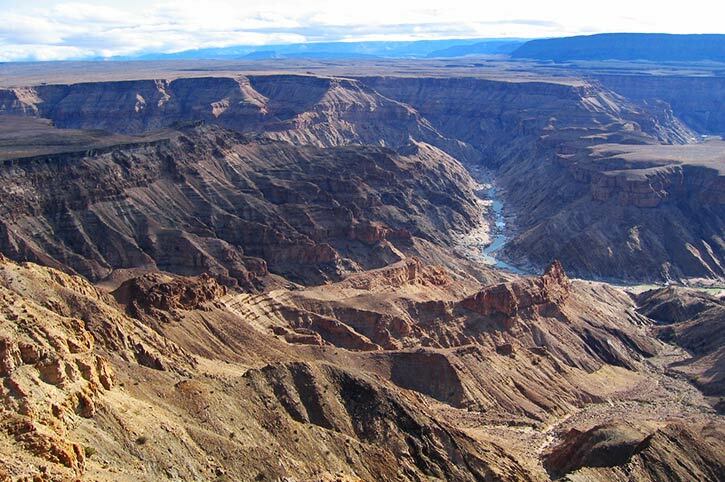 Travelling up the West Coast, we pass through some magnificent mountain ranges on our way to the Orange River. If you are travelling in spring you will see the spectacular carpets of wildflowers in the famous Namaqualand region. Later in the afternoon we will reach the Orange River, the natural border between South Africa and Namibia. The next day the only travelling is done in a canoe. Put your feet up and relax as the currents take you downstream the Orange River – mind the rapids though! Today we head to Ai-Ais, where we stop for lunch. Here thermal water rich in sulphates and fluorides and with a temperature of approx 60°C gushes forth from the springs. In the Nama language, “Ai-Ais” means “burning water”. We then proceed to our accommodation which is situated close to the Fish River Canyon, the second largest canyon on earth. Later in the evening, we take in another perfect African sunset with the magnificent views and scenery along the edge of the canyon. Moving inland we make our way towards the Namib Naukluft National Park. The next morning we need to wake up early to visit the world’s highest sand dunes at Sossusvlei and Deadvlei. 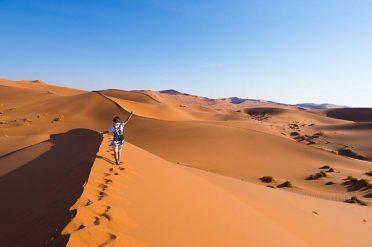 These dunes, which can reach heights of over 300m, are absolutely spectacular and provide for a fantastic photo opportunity. With luck, there may even be water in the vlei (lake). We also stop to view the Sesriem Canyon, which was carved millions of years ago by the Tsauchab River. The day is spent driving through the Namib Naukluft National Park on our way to Swakopmund. The Namib-Naukluft Desert is an ancient land with an ageless spirit. 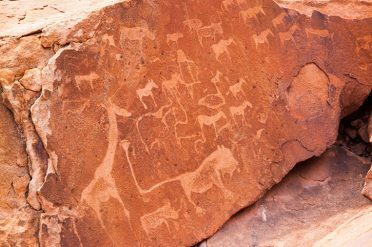 It is home to some of the rarest plant and animal species in the world; sightings of this flora and fauna on a Namibian safari are a must. The animals of this harsh landscape include the oryx, springbok and Hartmann’s mountain zebra. One can also see the Welwitschia Mirabilis which is an odd-looking desert shrub and one of these ‘shrubs’ is a large, protected specimen estimated at over 1,500 years old. We arrive into the charming coastal town of Swakopmund, where you will have the opportunity to partake in a few of the many optional activities that are offered over the next two days. Alternatively just soak up the atmosphere of this little quaint German town and enjoy its beauty and beaches. We follow the barren Atlantic Coastline on our way out of Swakopmund to visit Cape Cross – the largest breeding place of the Cape Fur Seals. Leaving the cold Atlantic coastline behind we then head inland across the desert plains to Spitzkoppe, an iconic group of curved granite mountains with vivid colours. After a walk amongst the boulders to view the ancient Bushmen paintings, we continue on to the town of Omaruru. On our journey today we will stop at a local distillery and small wine cellar in Omaruru to taste some of the produce. We then head off towards Kamanjab where we explore a Himba village in the afternoon. This will be a journey of cultural exchanges, learning and understanding of the last traditional tribe in Namibia, the Ova-Himba. 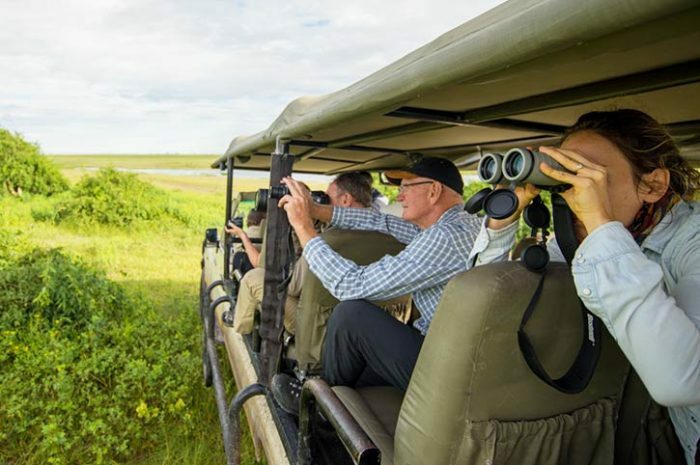 We spend the next two days on game drives with the opportunity to spot some of the big five as well as cheetah, giraffe, zebra and the numerous different types of antelope the park has to offer. Our nights are spent at the flood lit waterholes encountering the parks various nocturnal animals as they come to drink. Our journey continues east as we drive along the Caprivi Strip to the town of Rundu. We make our way to the lodge and spend a relaxing afternoon by the banks of the Kavango River. Optional activities such as horse riding or a sunset cruise are available; alternatively just relax by the pool with a sundowner listening to the sounds of mother nature. 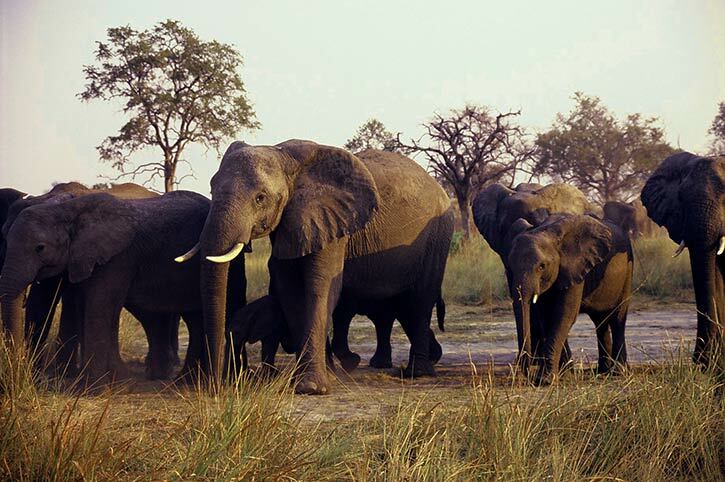 The next day leave Namibia for the western border of the Okavango Delta in Botswana. Unlike other deltas, the Okavango River flows into the Kalahari Desert without reaching the coast, which makes it unique. The day is spent exploring the network of water pathways through thick vegetation in mokoros (traditional dugout canoes), discovering a variety of birds and wildlife and will stop at a secluded island to take a 1½ hour guided walk hoping to spot elephants, waterbuck or other animals living in this water-filled paradise. The next day drive up the Western border of the Okavango Delta before crossing back into Namibia and driving through the Caprivi to our camp on the banks of the Kwando River. Enroute take a game drive in Mahangu National Park which in contrast to the rest of Namibia, comprises of lush riverine forest, marshes, dense savannah and mopane woodland. Today head for Kasane, the gateway to the Chobe National Park. After settling into your lodge, the rest of the day is at leisure. Rise early for a morning game drive in the park. At over 10,000 square kilometres in size, it is the second largest national park in Botswana and renowned as having one of the greatest concentrations of elephant found on the African continent. 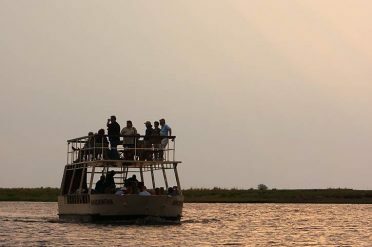 In the afternoon we go on a cruise on the Chobe River, a truly unforgettable experience and one of the best ways to view the wildlife and the spectacular sunset. Continuing our trip we leave Botswana and drive to Victoria Falls in Zimbabwe. Enjoy most of the day at leisure to explore the falls on your own. In the afternoon your guide will take you on a sunset river cruise along the Zambezi river. Enjoy the views, the birdlife and the sun go down on this relaxing excursions. Our safari ends after breakfast where you have free time before your transfer to the airport. 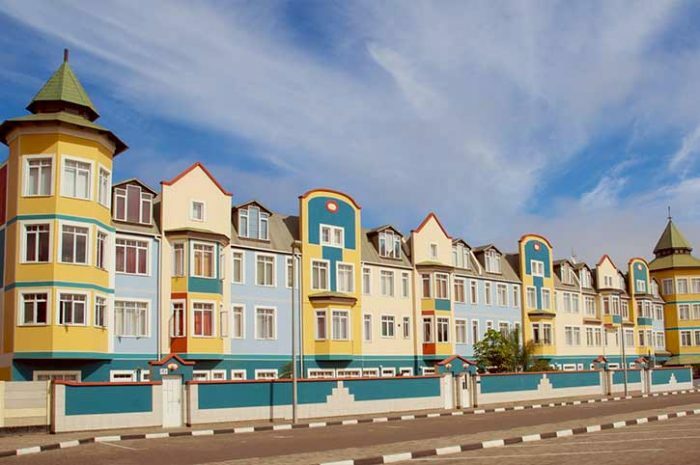 Choose our shorter 15 day Northern Skies tour beginning on day 8 in Swakopmund – from £2949. Both tours are available in the reverse direction starting in Victoria Falls. Cut out some of the longer drives on the 21 Day Northern Experience which flies between Cape Town and Walvis Bay and then meets up with the rest of the group in Sossusvlei – from £3799. All prices are per person, based on 2 sharing a twin or double room. Seasonal variations may apply, please call Freedom Destinations for more information. Accommodation specified is subject to availability and may be substituted to a similar or higher standard if necessary. Please note luggage restriction of 15kg. Make friends along the way as you discover the sights and experience the culture of this fascinating region.